Israel stands at the crossroads of Europe, Asia and Africa. Geographically, it belongs to the Asian continent. Its western border is the Mediterranean Sea. To the north it is bound by Lebanon and Syria, to the east by Jordan and to the south by the Red Sea and Egypt. 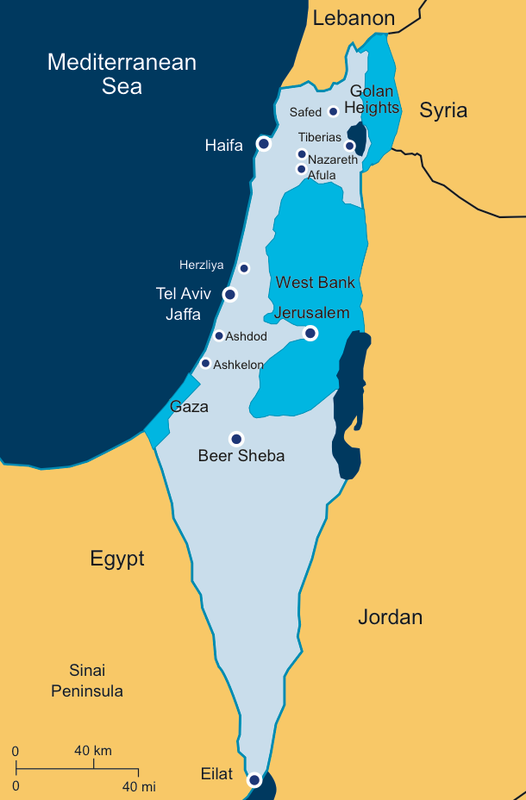 Long and narrow in shape, Israel is about 290 miles (470 kilometres) long and 85 miles (135 kilometres) across at its widest point. Its total area is 22,145 square kilometres, of which 21,671 square kilometres is land area.